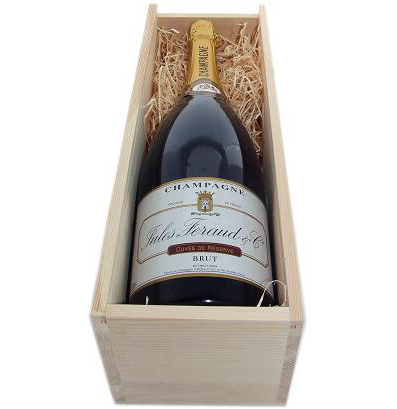 A Jeroboam of Jules Feraud Brut, NV, Champagne (3.0 litres). Presented in a carton gift box (Not wooden as shown). A firm favourite.